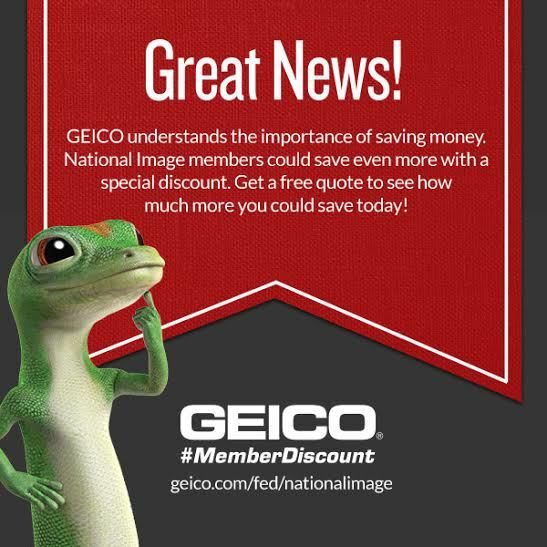 GEICO is a longtime sponsor of National Image Inc. providing discouts to our members and supports. Below are three links provide by GEICO on informative articles for our members and supporters. 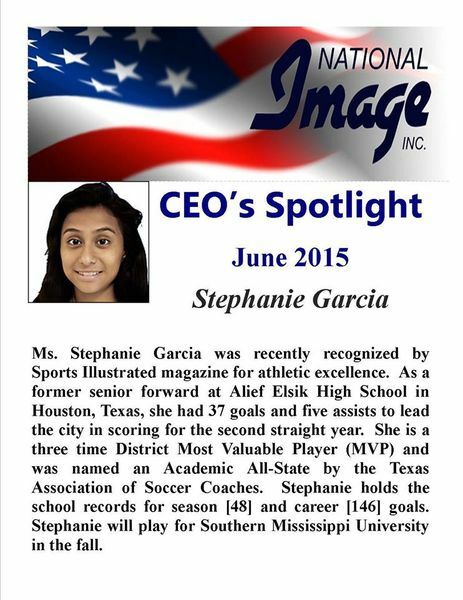 Ms. Stella Alejos was presented the National Image Inc. 2018 President's Award by Veronica Vasquez, CEO & President, National Image Inc. on September 12, 2018 in Kansas City, Missouri. 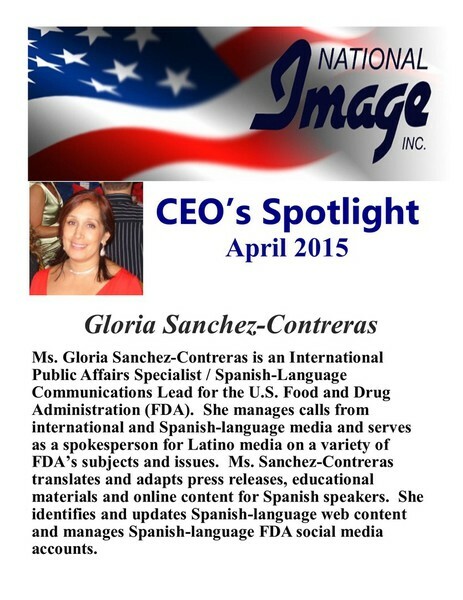 National Image Recognizes Outstanding Hispanic Employment Program Managers & Hispanic Professionals throughout the Public and Private Sector & Nonprofit Organizations. 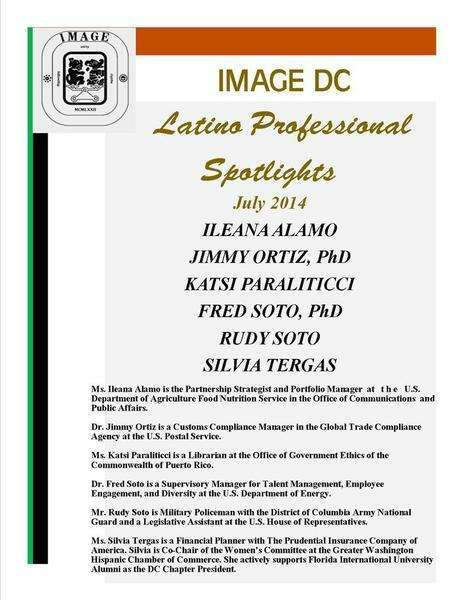 National Image greatly appreciates the significant contributions Hispanic Professionals are making. 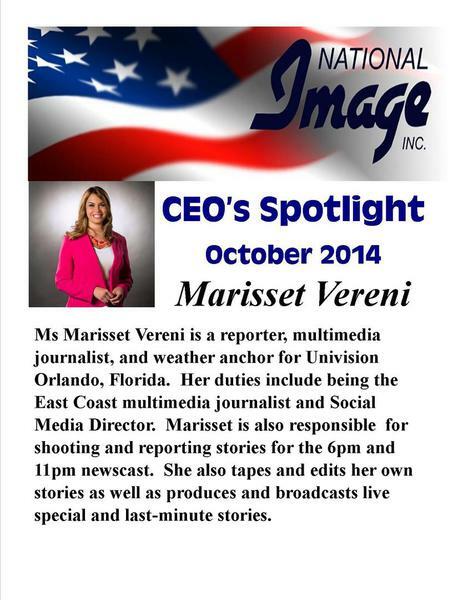 These hard-charging professionals epitomize the mission and core values of National Image. 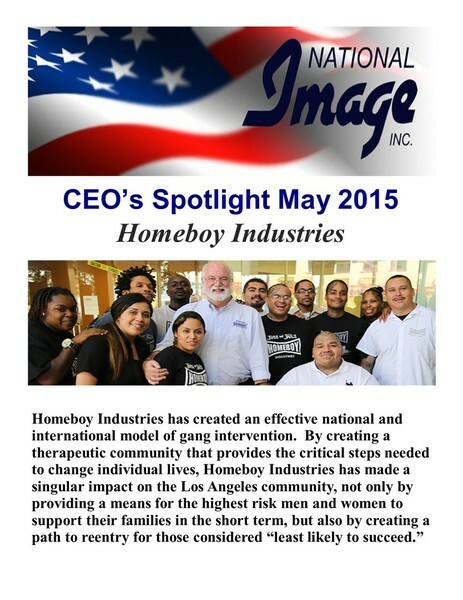 Please take a few minutes out of your busy schedule to recognize and congratulate their efforts. Thank You !!! 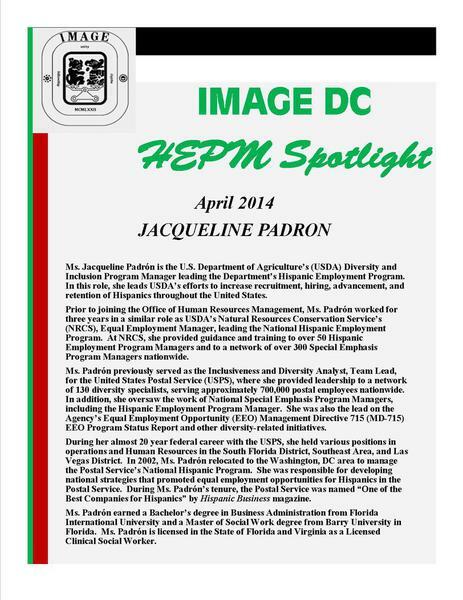 On Friday, April 11, 2014, Latinas from the Image de Denver Chapter had the opportunity to have a Round Table with OPM Director, Kathleen Archuleta. The Round Table provided members to an opportunity to provide feedback participate and interact with Director Archuleta. A special thank you to Ms. Lori Windle, DOI/OSM employee and SAIGE Secretary, who host of the Round Table at the Office of Surface Mining Reclamation and Enforcement, Western Region. 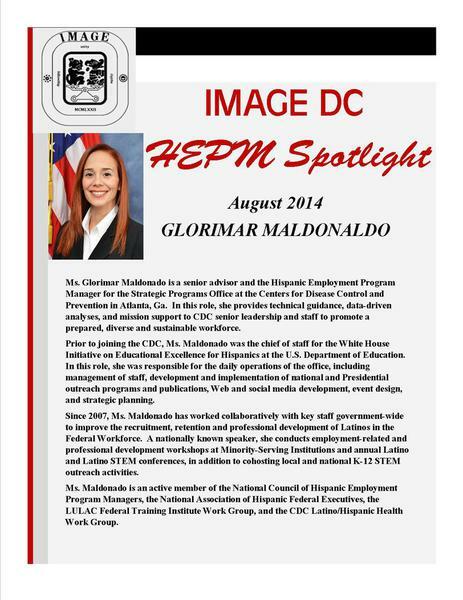 National Image, Inc. Director, Intergovernmental Affairs, Veronica Vasquez served as the Keynote Speaker at the Hispanic Internal Revenue Employees (HIRE) Cesar Chavez observance program in Portland, Oregon. Chapter President, Mr. Jose Rodriguez immigrated to the United States from Cuba at the age of three. He grew up in Tampa, Florida and joined the military shortly after graduating from High School. Jose served on active duty in the U.S. Air Force with overseas tours in the Republic of Korea and short-term deployments in support of Operation Enduring Freedom. 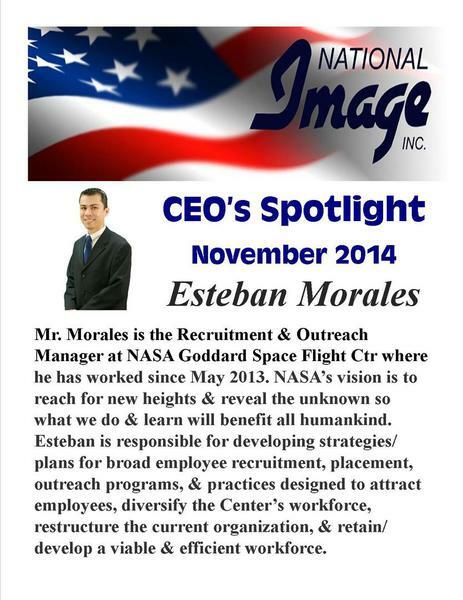 Jose has 27 plus years of Federal Government experience and over two years Defense Contractor experience. He held progressively more responsible leadership positions at Installation, Air Staff, and Department of Defense levels. Jose currently works for the Department of Defense as the Program Execution Division Chief for Cyber Capabilities Research and Development. Jose has earned a MBA and attained his credentials as a Certified Defense Financial Manager (CDFM). 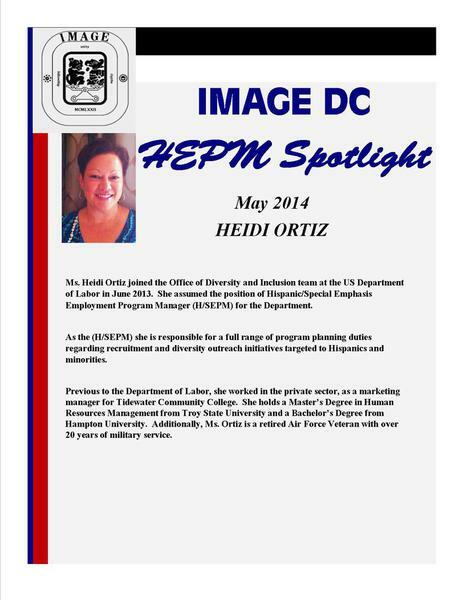 He is also a faculty member with the University of Phoenix, where he instructs online Financial Accounting Courses. 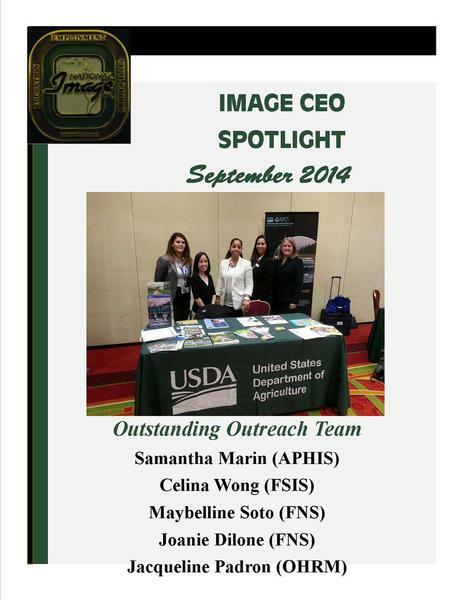 The National Image, DC Chapter kicked off their first meeting hosted by the U.S. Department of Agriculture with a Welcome by National Image, Inc. CEO, Ms. Sylvia Chavez-Metoyer. 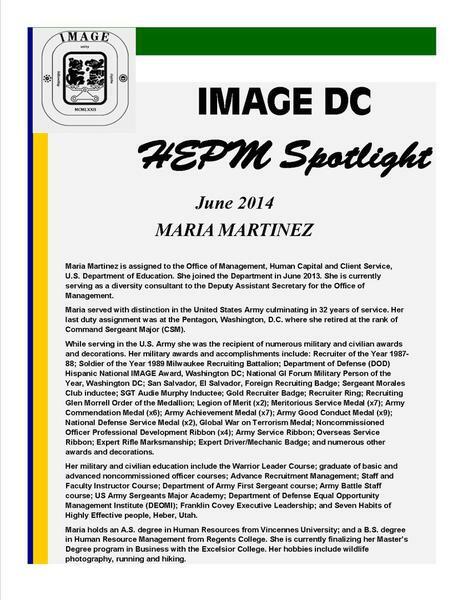 Following Ms. Chavez-Metoyer’s welcome was a special presentation by National Image, Inc. Director, Intergovernmental Affairs and Chair, National Image, Inc. National Training Program. After the meeting the group proceeded to Cuba Libre for some networking, and dinner. 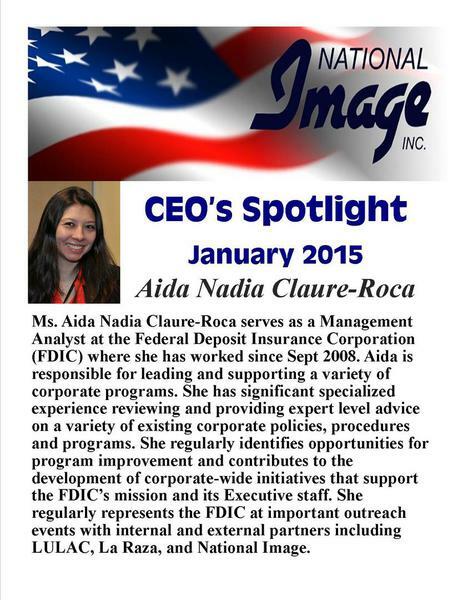 They were met by Mr. Gil Sandrate, National Image, Inc. advisor and Mr. Al Gallegos, President of the National Association for Hispanic Federal Executives. Jose created a Facebook page for the National Image DC Chapter at www.facebook.com/nationalimagedc . 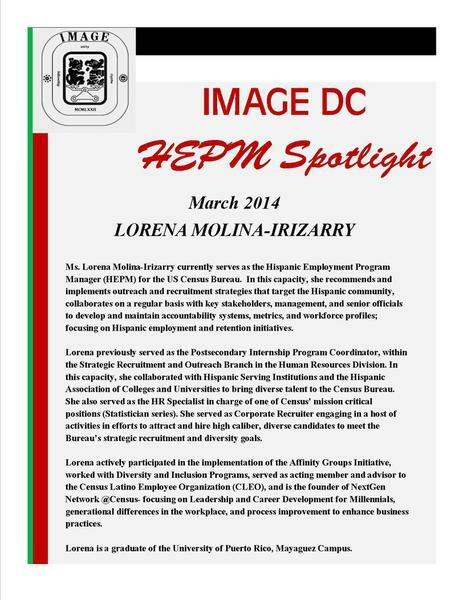 On the DC Facebook page, Jose posts job announcements, training events, social networking opportunities, and other valuable information such as Job Fairs.